SPRING, TEXAS HOMES SELLING FAST! UNDER CONTRACT IN 9 DAYS! The real estate market in Spring and The Woodlands, Texas are selling FAST! Buyer agents are contacting listing agents before they even take a client to see a home as that is how fast things are going under contract. There are so many factors to this extreme market turn-around. The new Exxon Campus, a very strong job market, great national real estate prices, excellent schools, location to a major city (Houston), the Port of Houston, and convenient to George Bush International Airport. Of course there are many more reasons that this is a great area and this market is evidence of that! If you are in the market for a home, be a prepared buyer. 21614 Redcrested Glen is a fabulous family home that has only been on the market for 9 days and is now under contract! There were an average of 3 showings per day so we knew an offer was eminent! We were close to a multiple offer situation yet when this excellent offer came in, the Seller's jumped on it. The Seller's did a super job getting this home in tip-top shape and it paid off. The home is super clean, staged beautifully and looked like a model home. Bottom line, the hard work they put in prior to listing their home paid off with a quick and excellent offer. 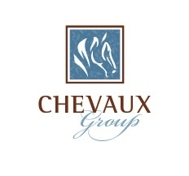 Call Chevaux Group today! We can help you get your home ready to SELL! It is a hot market. Homes in Spring and The Woodlands are moving fast. Get yours on the market today.